Red squirrels like these are being threatened by gray squirrels. The pine marten is stepping in to help. With a nod to the old adage “the enemy of my enemy is my friend,” researchers led by a University of Massachusetts Amherst professor have discovered that a species of weasel is helping once-threatened populations of red squirrels in Europe stave off an invasion of gray squirrels from America. Christopher Sutherland, assistant ecology professor at UMass Amherst, and his team found that pine martens help to suppress invasive North American gray squirrels that compete for food with red squirrels and carry a pox that red squirrels have no defense for. 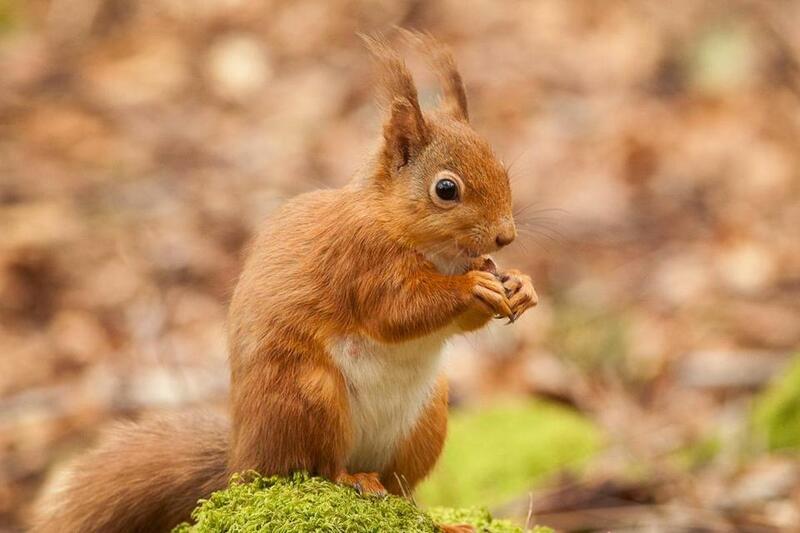 Red squirrels, with their distinctive ear tufts, are native to Great Britain, Ireland, and other parts of Northern Europe. The findings were recently published in the journal Proceedings of the Royal Society B. Researchers used DNA forensics and other techniques to estimate pine marten population in squirrel habitats and found that gray squirrel populations strongly decline when exposed to the pine martens, while red squirrel populations increase, according to a statement from UMass Amherst. “Our state-of-the-art analysis suggests that we can achieve conservation objectives twice over by allowing a native species, the pine marten, to spread naturally while conserving our precious red squirrel,” Sutherland, whose fellow researchers were from Scotland and Ireland, said in the statement. The pine marten is here to help. Sutherland said in the statement that pine marten populations are growing in areas of Scotland they were not currently found, and where they turn up, they help keep gray squirrels in check “through natural order.” This, in turn, allows red squirrels to reclaim their habitat. “We’ve potentially found an answer that doesn’t require the high cost of eradication,” Sutherland said in the statement. The statement didn’t say exactly why martens seem to drive out gray squirrels.